MyWikiBiz founder, AP photo, 2007. Launched in 2006, the MyWikiBiz enterprise has authored dozens of encyclopedic articles about companies, products, and individual persons. These articles were published under terms of free, copyleft licenses, in hopes that free-content sites (primarily Wikipedia) would disseminate them to vast audiences for wider use. MyWikiBiz has not directly edited Wikipedia in exchange for payment, though, for a number of years. Its founder, Gregory Kohs, is available to consult businesses and individuals who have questions about how to best engage with Wikipedia and other free-content sites. From August until October 2006, MyWikiBiz created content for about 10 articles that found their way to Wikipedia. Three of them were disclosed to the "powers that be" at Wikipedia, which led to two of them being deleted, and the remaining one being savaged by Wikipedia co-founder Jimmy Wales. In the pinnacle of hypocrisy, an administrator who acted as Wales' lap-dog later plagiarized the original MyWikiBiz content and attempted (unsuccessfully, as he was caught red-handed) to claim the content ab initio as his own. What about the other seven articles that were not disclosed? All are beautifully residing to this day within Wikipedia, thoughtfully tended to by the editing community. After the success of these seven articles, MyWikiBiz then added many dozens more Wikipedia pages and improvements on behalf of clients. Only two or three articles have ever been overturned by the Wikipedia administrative community. Therefore, we at MyWikiBiz have concluded that content decisions at Wikipedia are not at all about "the quality of the contribution", but rather, "the provenance of the contribution". 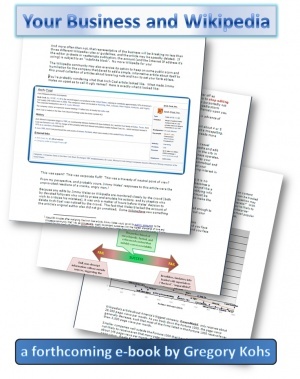 If the editor is embedded in the community, their content generally stays; but if the editor is new and unfamiliar, their content will generally be deprecated or removed with prejudice. ...must disclose your employer, client, and affiliation with respect to any contribution for which you receive, or expect to receive, compensation. Further worthy of note is that a representative of the Wikimedia Foundation (James Alexander, 19 April 2017) contacted the founder of MyWikiBiz via e-mail to, "notify you that you are banned from all Wikimedia Foundation (WMF) websites, platforms and activities. This includes but is not limited to, any site listed at www.wikimedia.org, mailing lists hosted by the WMF, WMF Labs and Wikimedia technical infrastructure such as Phabricator as well as any in-person events sponsored or funded by the WMF. You accordingly may not participate in, edit, contribute, or otherwise modify any content on those sites, platforms, or lists. This ban is placed against your person, not against a particular username. It applies to any alternate accounts that you may control and any accounts you may create in the future. Furthermore, you may not participate as an anonymous user ('as an IP user')." We were invited to direct any questions and concerns about the ban to the Wikimedia Community Affairs and/or Legal teams at the Wikimedia Foundation. However, despite numerous attempts to e-mail and telephone personnel in those departments, they were entirely non-responsive. Thus, MyWikiBiz has concluded that the communication issued by Mr. Alexander was null and void; in other words, non-binding. If you're reading this page, there's a good chance you already know exactly what we're talking about here. If you are thinking about publishing content on Wikipedia that you suspect may come under fire for "conflict of interest" reasons, you are advised to contact MyWikiBiz for a free consulting discussion to obtain advice and possible assistance. Despite a superficial "permanent ban" from Wikipedia, MyWikiBiz (in the early years) and its affiliates (more recently, and all under signed non-disclosure agreements) have researched, written, and published on Wikipedia numerous paid articles, from 2007 to the present day. A very few vindictive administrators on Wikipedia think they have the power to thusly censor free content that meets all the terms and conditions of the site owners, but in practice they actually have no real powers of this sort. Every day, paid consultants are facilitating the addition of freely-licensed information to community-sourced projects like Wikipedia, entrusting to the community to provide the give-and-take "balance" to any questionable perspectives. Some consultants have success using sockpuppet editor accounts that are dedicated to only one client before being phased out, or by using cycled IP addresses, public Wi-Fi hotspots, and mobile Internet connections. In this way, Wikipedia articles can be written in exchange for payment, then published as a courtesy, without retribution -- even despite a community "advisory" against editing Wikipedia in this fashion. Some consultants are successful, while many are not. But, it can be done, folks. You simply shouldn't ever breathe a word of it, especially if you've been successful. That's the secret to our success. If you or your company has a problem with Wikipedia, you can publicly announce that problem (and in most cases magnify it), or you can work according to Wikipedia's own policies about anonymity, get consultative support from outside Wikipedia, and modify content on Wikipedia in a voluntary fashion. If you then decide to "go public" about your interaction with consultants and Wikipedia, then be prepared to see your Wikipedia article disappear in a matter of days, as happened to the Wikipedia article about Foundr. Approximately 85% of our client-related work has been successfully published to Wikipedia, while following terms of service and community guidelines related to anonymity. You likely won't achieve such a success rate by publicly disclosing all of your wants and needs related to Wikipedia. Private conversations are better. Most consulting projects for MyWikiBiz clients are executed for about $200 to $350 dollars. If your work is handed off to another consulting firm, then higher rates certainly may be expected. As a globally-leading website that appears at or near the top of the most important search engine query results pages, Wikipedia has (for better or for worse) become a must-watch reference page. This is especially true for any business concerned about its brand awareness and a factual presentment of its corporate history and product or service descriptions. A company that can't be found on Wikipedia is deemed by most Internet researchers as "small potatoes" or "insignificant". Yet on the other hand, a company that is given a disproportionately negative and unfair treatment by Wikipedia is suffering immeasurable damage to its reputation. Businesses that understand the importance of content on Wikipedia, but don't have the time or prowess to engage directly in the topsy-turvy editing process have been hiring experienced editors to act on their behalf, since at least 2006. 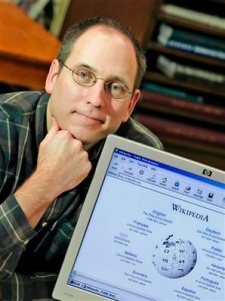 Your Business and Wikipedia is an e-book draft that may one day be published by Gregory Kohs. With over a decade of experience as a Wikipedia editor, news maker, and spokesman, Kohs understands the ins and outs of creating, modifying, and manipulating Wikipedia content to better serve the needs of your business. This e-book shares his astounding and provocative secrets with you. Gregory Kohs is a marketing research director for a Fortune 100 media company. His enterprise, MyWikiBiz, has been the subject of news stories appearing in USA Today, the Washington Post, and MSNBC.com. He has appeared on national television on multiple occasions and has presented "how to" information about Wikipedia to academic audiences. His experience with MyWikiBiz and Wikipedia has been documented in numerous books and scholarly works. Having provided hired consulting to dozens of clients working on content within Wikipedia, Kohs is perfectly suited to teach you about your business and Wikipedia. MyWikiBiz is pleased to share some of the wiki content we have generated over the years. However, far more articles (and better ones) than these are protected by a non-disclosure agreement, and thus cannot be shared here. Together, these pages are viewed thousands of times by thousands of different Wikipedia readers every month. This page was last modified on 19 July 2017, at 21:30.